Is it time for carpet stretching? Carpets get loose with age. Over time you may see rippling in your carpet which is a sign that the carpet is coming up from its attachment to the subfloor and is getting loose. When that happens, the carpet needs to be stretched to where it is taut and flat. Magic Touch Carpet Repair has over a decade of experience specializing in carpet stretching and other repair services. 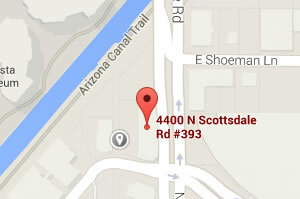 Call us for your quality carpet stretching in Chandler. Having loose, rippled carpet can be a tripping hazard, not to mention making it harder to successfully clean. It also makes it easier for things to get caught on the carpet and create a tear. Creating a tear generally winds up being a more expensive repair than carpet stretching. For these reasons, we suggest scheduling an appointment as soon as you notice your carpet is getting loose. Quality carpet restreching at an affordable price! Our skilled carpet repair technicians have the experienced know-how to apply just the right amount of stretch. Both stretching too little and too much can be damaging to the carpet, so it is important to have this service done by professionals with the expertise and equipment to get it right. With more than 10 years of experience, Magic Touch Carpet has the experience to give you a professional job quickly and effectively. And we’ll do so at a fair price! Need some cleaning done too? Along with carpet stretching, we can clean up after pet damage, fix grout issues, and do emergency water removal and drying too! As a locally-owned, family business we don’t send out our work to unknown contractors. All our work is done by in-house technicians who we have handpicked specifically for their experience and devotion to getting the details right. From seam repair to patching, our dedication to customer satisfaction is a major factor in our success over the years. Call us today and see the difference a Magic Touch can make! You’ll feel confident that your carpet repair is in good hands!